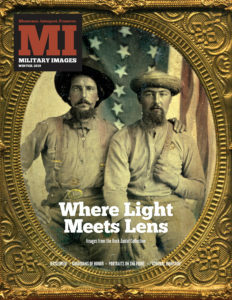 Pleased to announce that the digital edition of Military Images magazine is now available. Formatted identically to the print version, it is produced directly from the master pdf files sent to the printer. Now you can enjoy all the rare and wonderful images, features and departments in every issue of MI on your laptop, tablet or phone. Single issues are now available for purchase at $7.95 each, and the downloadable pdf is yours to keep. 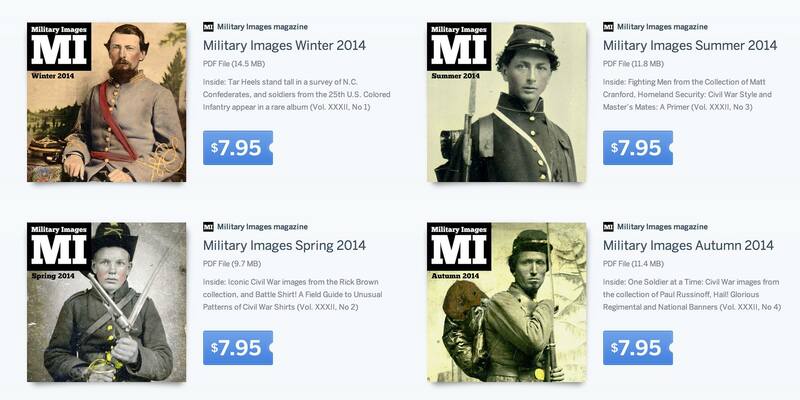 The MI digital edition is powered by Tinypass. Access the MI digital edition now. 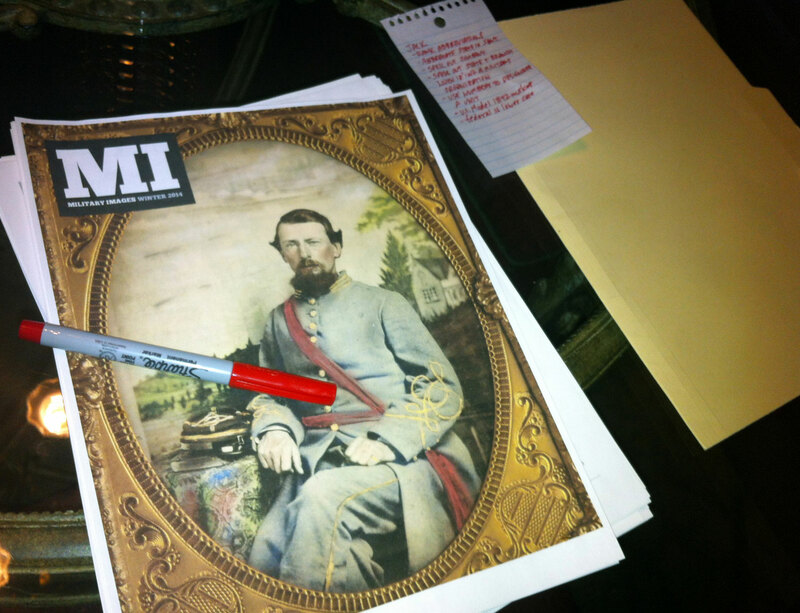 The redesign that debuted with the current issue of the magazine has impacted all other materials associated with the publication. This includes the renewal form, which is being mailed today to those who have expired subscriptions. The renewal form is a challenge from a design perspective. There are a number of details to communicate, and clarity is essential. Before beginning the task, I prepared by collecting renewal forms and invitations to subscribe forms from other publications. Armed with samples, I set about creating the new form shown here. The final version is divided into two sections. 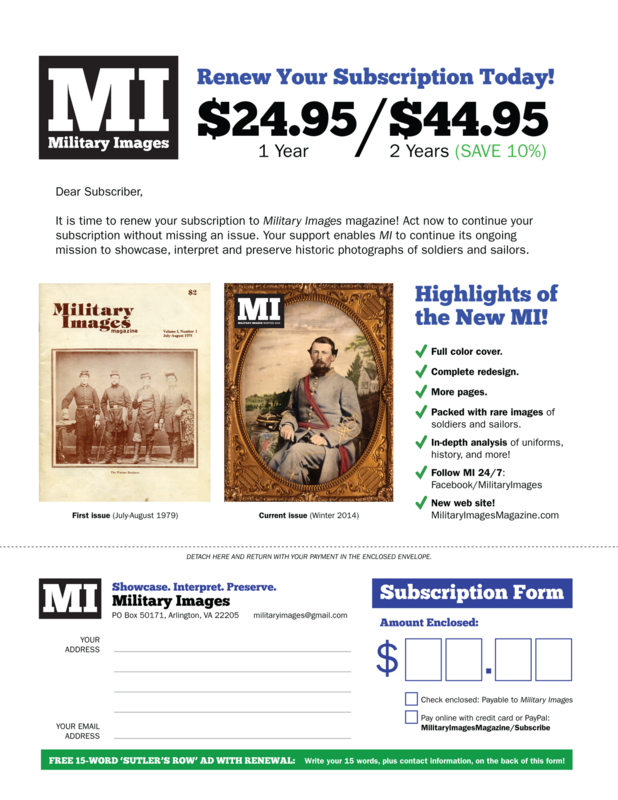 The upper two-thirds states the price and describes highlights of the new MI, which includes the redesigned magazine and web site. The bottom third is a detachable return slip which is returned with payment in a self-addressed stamped envelope included with the form. The biggest change, aside from the new look, is the placement of the free (and optional) classified ad, a long-time tradition for renewing subscribers. 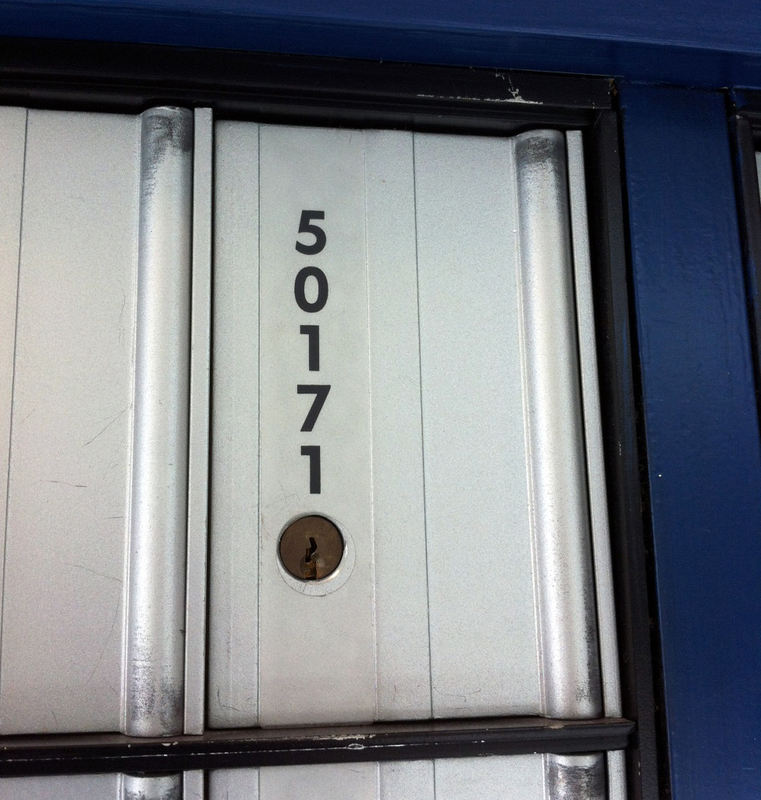 The free ad is still available, but the large space on the front of the return slip to enter the ten words and contact information has been reduced to a green box at the very bottom of the form. Text in the green box instructs subscribers to use the back of the return slip to enter this information. They can also email militaryimages@gmail.com. 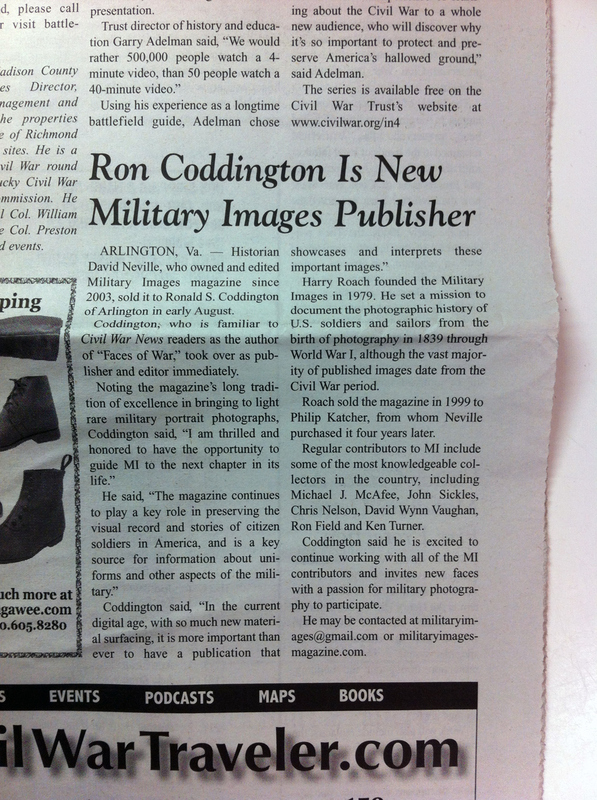 ARLINGTON, VA.—Historian David Neville, who owned and edited Military Images magazine since 2003, sold it to Ronald S. Coddington of Arlington in early August. Coddington, who is familiar to Civil War News readers as the author of “Faces of War,” took over as publisher and editor immediately. Harry Roach founded the Military Images in 1979. 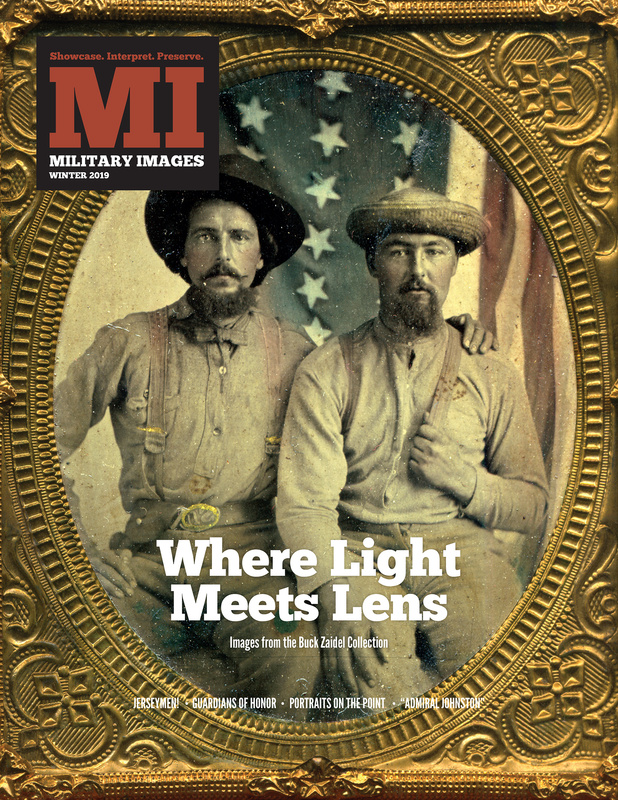 He set a mission to document the photographic history of U.S. soldiers and sailors from the birth of photography in 1839 through World War I, although the vast majority of published images date from the Civil War Period. 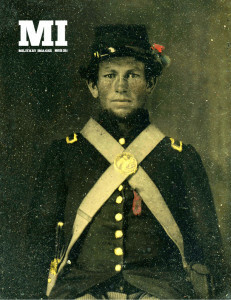 Roach sold the magazine in 1999 to Phillip Katcher, from whom Neville purchased it four years later. 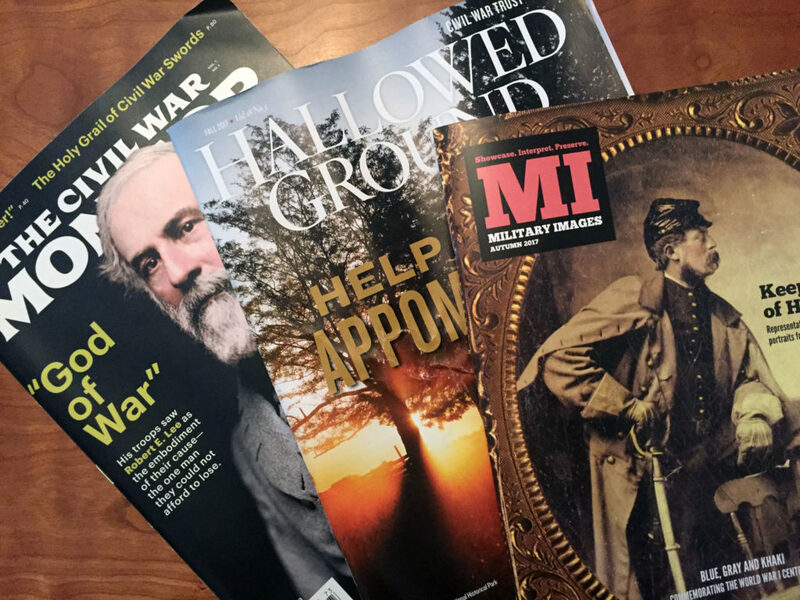 Regular contributors to MI include some of the most knowledgable collectors in the country, including Michael J. McAfee, John Sickles, Chris Nelson, David Wynn Vaughan, Ron Field and Ken Turner. 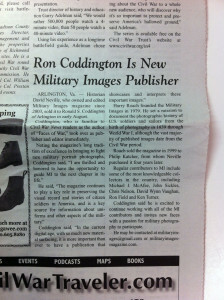 Coddington said he is excited to continue working with all of the MI contributors and invites new faces with a passion for military photograhy to participate. 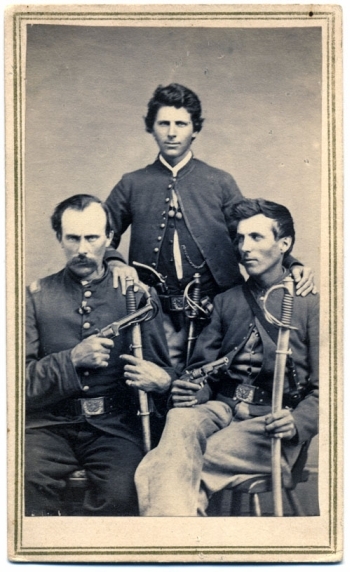 In reviewing various magazine-related materials yesterday, I came across this phrase, “By photo collectors for photo collectors.” It caused me to reflect upon the essential strength of Military Images: The contributors who bring forth superb examples of nineteenth and early twentieth century photographs of soldiers and sailors, and the subscribers, many collectors themselves, who appreciate the quality and subject matter. It is this relationship that drives the magazine. MI should have a design that recognizes this relationship, and meets the demanding aesthetics and sensibilities of contributors and subscribers. 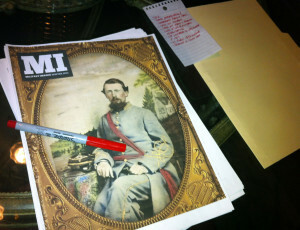 This includes a full-color cover—a first for the magazine, and long overdue. I spent some time last night working with the new logo and a few images from my collection. In the end, I came up with the prototype shown here. The logo is in the upper left, but can be moved the the upper right depending upon the contents of each cover photo. I modified the logo slightly to accommodate the issue date, which is located just below the “I” in “MI.” In this example, the black box behind the “MI” has been removed because of the darkness of the background. If the background happened to be light, the black box would be added. I also decided not to display any headlines or other text that might take away from the power of the portrait. 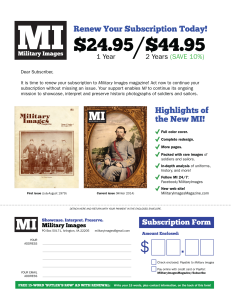 This follows the traditional look of the magazine, although there have been past issues that do include headlines and other promotional material. The headline-free design also recognizes the collector-subscriber relationship at the heart of the publication. 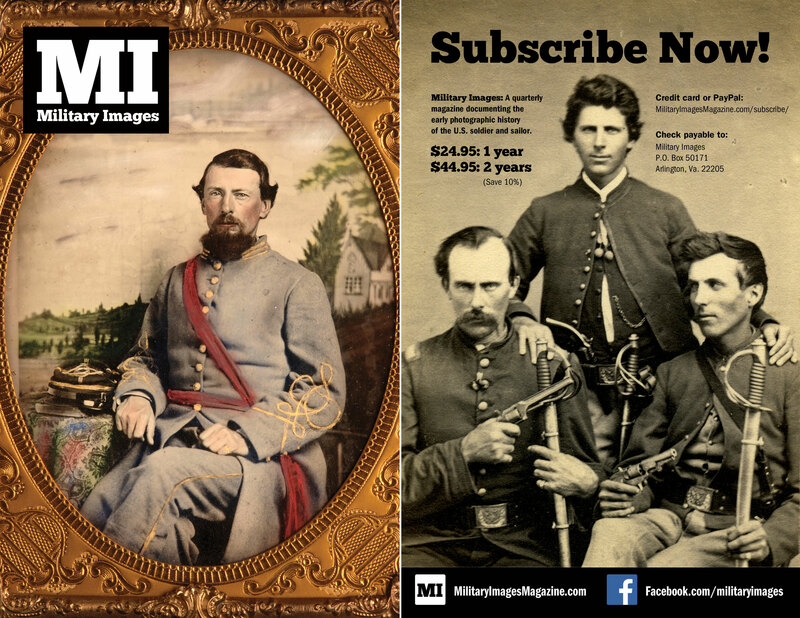 Yesterday, MI officially transferred its flag from Pennsylvania, where the magazine has lived for the last 34 years, to its new home in Arlington, Virginia. 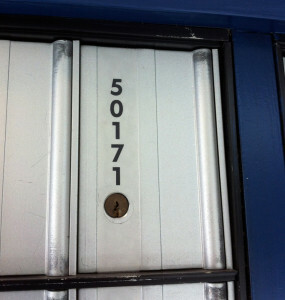 In the space of five hours, I formed a limited liability corporation (LLC), filed for and received a tax number, opened a bank account in the name of the magazine, and secured the post office box pictured here. It was surprisingly easy to make all of this happen. Of the several individuals I worked with during the day, Suman Barua of Burke & Herbert Bank deserves special mention. In less than it takes to write this post, he explained in simple terms how to setup the LLC, acquire the tax number, and what documentation was required to set up the account. Had I not crossed paths with him, my day might have been more complicated. Thanks, Suman. And welcome to Virginia, MI!